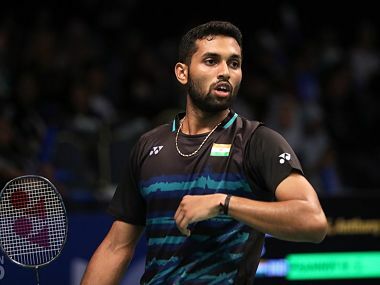 Taipei City: Indian shuttler Sourabh Varma advanced to the quarter-finals of the $ 55,000 Chinese Taipei Masters after defeating Japan's Ryotaro Maruo in the men's singles competition on Thursday. 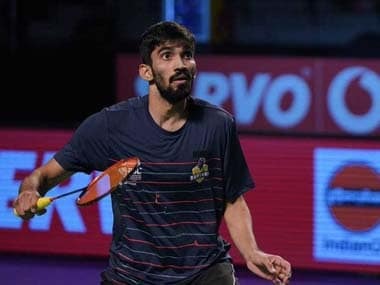 On Wednesday, Sourabh disposed off local shuttler Yi-Hsiang Yang 12-10 11-3 11-5 in the first match and then edged out Japan's Hashiru Shimono, seeded seventh, 11-6 8-11 12-10 11-3 in 41 minutes to enter the pre-quarterfinals. 2011 National Champion Sourabh, who reached the finals of Belgian Open and Polish Open challenger, beat Maruo 11-6 11-8 11-6 in a 31-minute clash on Thursday to set up a clash with Japan's Kento Horiuchi next. game with three straight points. In the second game, Sourabh dished out another dominating performance, racing to 7-0 at one stage and though the Japanese did put up a fight, the Indian soon pocketed it without much ado. In the decider, it was a much closer battle as both the shuttlers moved neck-and-neck till 4-4. Sourabh opened up a 7-4 lead but Maruo closed it down to 6-7 before the Indian reeled off four points to shut the door on the Japanese.